When you have a burning question you need an answer to or want to research a way to do something, where’s the first place you look? You might ask the person sitting next to you or phone your mum, but the next place most people will turn to is the internet to Google it. It’s such an automatic and engrained response that we use the search engine’s name as a verb in our everyday vocabulary. Today, everyone has immediate access to information that solves their problems or answers their questions, providing you with an opportunity to step in and provide a solution. Marketing has always been about emphasising how your brand can help people become more successful and enhance their life. But, while the old school focus has been on making a sale, content marketing emphasises building relationships by adding value and delivering a satisfying customer experience long before the sales stage. Consider the problems and challenges faced by your audience: what do they feel is holding them back from achieving success, or stopping them from reaching their goal? Then identify how you can provide them with information that offers a solution or a means of improving their circumstances, and you’ve unlocked the basis of your strategy. The nature and complexity of customer problems – whether it’s how to apply make-up or selecting the best pension option – will vary enormously between markets and businesses, but the process remains the same. You’re not haggling for a sale or commitment at this point, but acknowledging that you understand their needs and providing tangible evidence – a taster – of your brand’s expertise and capability. Think of this aspect of content marketing as offering a taster of what they can expect should you choose to become a customer in the future, or become a repeat customer if you’ve already done business. If you’re investing time and resource in creating content, your strategy deserves more than a scattergun approach. 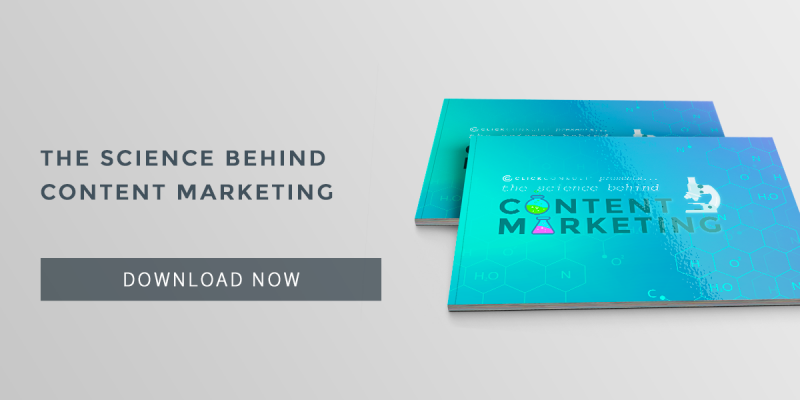 Our downloadable eBook focuses on planning and evaluating your content to achieve a strategy that places constant improvement and repeatable success at its core. Download it today!